KICKBOXER Tejay Bacon is looking forward to competing in the World Championships in November after picking up another title in Dublin. 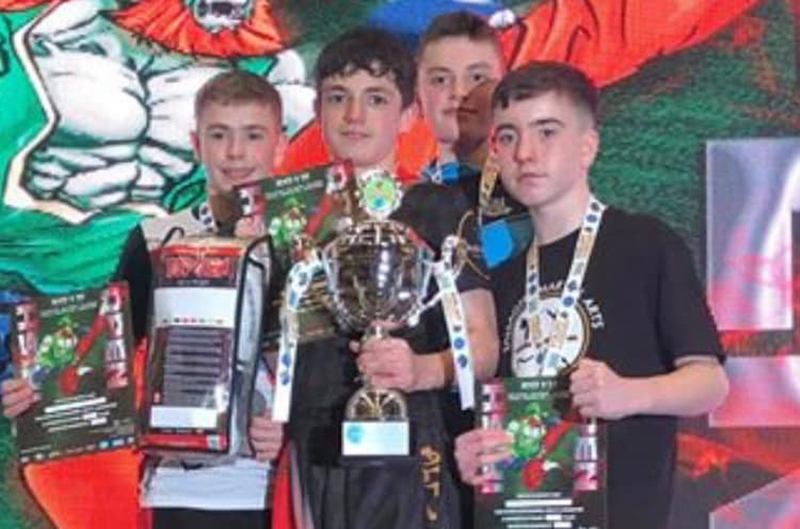 The 16-year-old pupil at Fearns took on competitors from allover the world at the Kickboxing World Series: Irish Open in Dublin at the City West Hotel. He said: “There were 12 in my section and the bouts were two1.5minutes long. “I was competing in the -47 kilo continuous and points and I won the continuous trophy. “The semi-final was the hardest bout and I faced a competitor from Ireland, he was taller than me and was a tough opponent. Tejay’s older sister Shannon, 18, a former Fearns pupil and now a student at Burnley College, also won the full contact -52 kilo juniors. Along with around 16 members of Alf’s Blackbelt Academy, in Stacksteads, Tejay and Shannon will be going to Niagara Falls in America for the World Kickboxing Championships in November.